First, we source the best factories to create and manufacture each of our future products. Next, we design packaging, websites and other promotional pieces for each of our brands. Finally, we market our brands through SEO, AdWords, Social Media and other internet marketing. We have our own in-house customer support to help our customers in the quickest way possible. 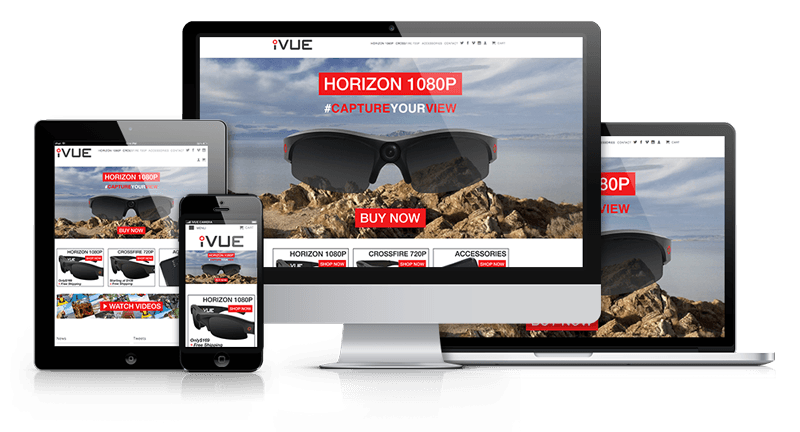 At iVUE Camera, we provide the highest quality video recording glasses on the market. Our selection of glasses allow clear audio and visual recording! The focus here at iVUE is to produce high quality products that will satisfy our customers.